The economic pain inflicted by plunging oil prices is hurting the country more than expected, but that pain should start to ease in the next few months, the Bank of Canada said in its latest forecast while leaving its key lending rate unchanged. The economic pain inflicted by plunging oil prices is hurting the country more than expected, but that pain should start to ease in the next few months, the Bank of Canada says in its latest forecast. Unlike what the bank did in January with a surprise cut, the bank opted Wednesday not to change its overnight lending rate, leaving it at 0.75 per cent. The Canadian dollar gained almost a full cent to 80.60 cents US on the news, as currency traders seemingly focused on the lure of stability as opposed to a rate cut which would have made the loonie less attractive as an investment. Canada's economic ills are acute right now. Poloz, famously predicted GDP growth in the first quarter of 2015 would be "atrocious." Now the numbers are in and show the economy effectively stalled, with zero economic growth in the first three months of 2015. The bank had previously estimated growth of 1.5 per cent for the same period. "The Canadian economy is estimated to have stalled in the first quarter of 2015," is how the bank bluntly put it in its statement. Worse still for Canada is that its largest trading partner, the U.S., is also showing some unexpected signs of slowing down. "Our folks are calling it a wobble," is how Poloz himself characterized the unexpected U.S. weakness while addressing a news conference following the release of the bank's policy statement. The central bank says the economic strife caused by oil prices is proving to be more "front-loaded" than predicted, but not larger. It anticipates non-energy exports will start to improve and investments will increase around mid-2015. By the end of 2016, the bank estimates the economy will have reached full capacity. Some say that optimistic view borders on implausible, however. The bank's reasoning expressed "confidence that the January cut was enough and that the economy … will rebound strongly in the second quarter and never look back thereafter," said David Madani, an economist with Capital Economics in Toronto. "We think this is pure fantasy and expect the oil price shock to hit the economy hard this year." The bank has also shifted its prediction for overall economic growth in 2015 to 1.9 per cent. That's roughly in line with the average of the private-sector economists Finance Minister Joe Oliver with last week. They predicted two per cent growth for 2015, which is the number Oliver says he plans to use when making his planning assumptions for the budget he intends to table next week. Add it all up, and Wednesday's bank statement is one of the gloomier ones in recent memory. With the bank seemingly leaning toward another cut at some point, Madani figures that will only fuel more borrowing as mortgage and other lending rates get dragged even lower. He thinks the bank could cut the rate two more times by the end of the year, to a microscopic 0.25 per cent — the level it dropped to during the depths of the credit crisis in 2009 and 2010. By its very mandate, the bank has to walk a fine line between stimulating the overall economy with lower interest rates, without encouraging reckless debt. But "as we have said before," Madani said, "this is a gamble the Bank of Canada has gone on record saying it's willing to take." Others think the bank may have found its sweet spot on rates, and be in no hurry to move them. "Pulling all of this together, it is our view that the economic forecasts in today's MPR … point to a central bank that is comfortable with its current monetary policy stance," TD Bank economist Randall Bartlett said. "Given our expectation that the economic impact of lower oil prices is mostly behind us, we expect that the Bank of Canada will keep interest rates on hold until the end of 2016." Scotiabank agreed, saying in a note that "All of this is very much the talk of a central bank not looking to cut further." 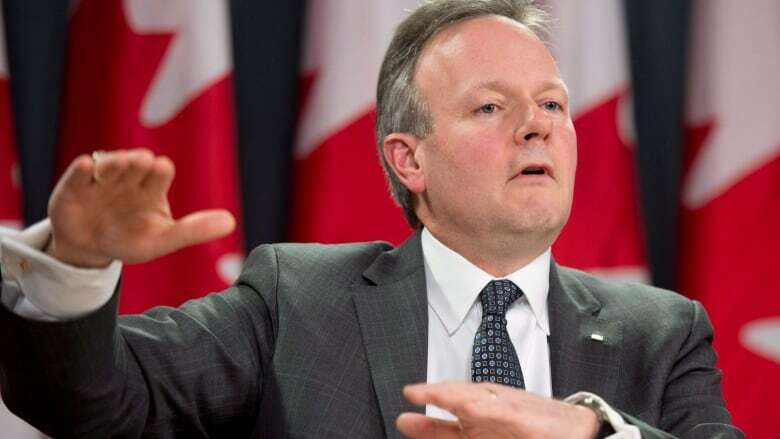 "The main message from the Bank of Canada — for now — is that further rate cuts are off the table," the bank said. A previous version of this story attributed Stephen Poloz with describing a 'wobble' in the Canadian economy. In fact, he was referring to the temporary weakness in the U.S. economy.